After a lot of leaks and rumors, Motorola’s new Droid Turbo to be announced soon. Verizon dedicated website Droid Does shows a countdown, and now it’s just 9 hours of wait to see the new Droid Turbo. The Droid Turbo is expected to go on sale on Thursday, but already some images showing the packaging of Droid Turbo has been leaked online. Moto Firmware already tweeted that it will be aavailablefrom 30th Oct. 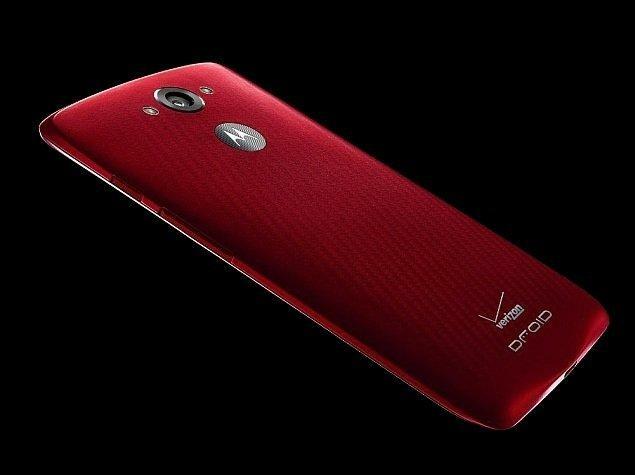 The motorola Droid Turbo is expected to be priced at around Rs. 36,650 (approx. 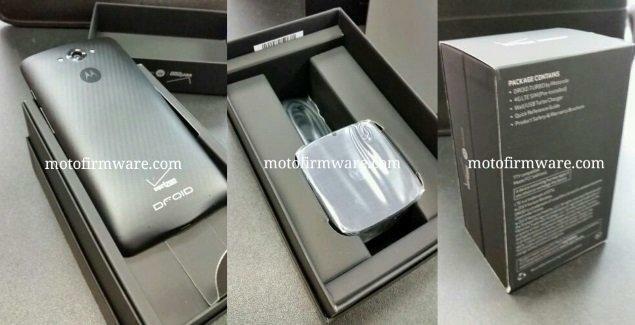 and Moto Firmware also posted a bunch of leaked images that revealed that the Droid Turbo will include Motorola’s Turbo charger in the box. The leaked images also show that the handset will come with 4G LTE support and will sport dual-LED flash, which were rumored earlier. The rumors indicate that the Droid Turbo will have a strong specifications. The specifications include a 5.2-inch QHD (1440×2560 pixels) resolution display, a Snapdragon 805 processor, 3GB of RAM, 32GB inbuilt storage, 21-megapixel rear camera with dual-LED flash, 3900mAh battery, and Qi wireless charging compatibility with support for Motorola’s Turbo Charger. This latest phone from Motorola is also rumored to have a rock solid body that can resist everyday spills and will survive up to 20 minutes in a downpour. Moto Actions, Moto Display and Moto Connect are also other features which are rumored to be included in this phone. Just not LTE, Droid Turbo is tipped to have Bluetooth, NFC and Wi-Fi.